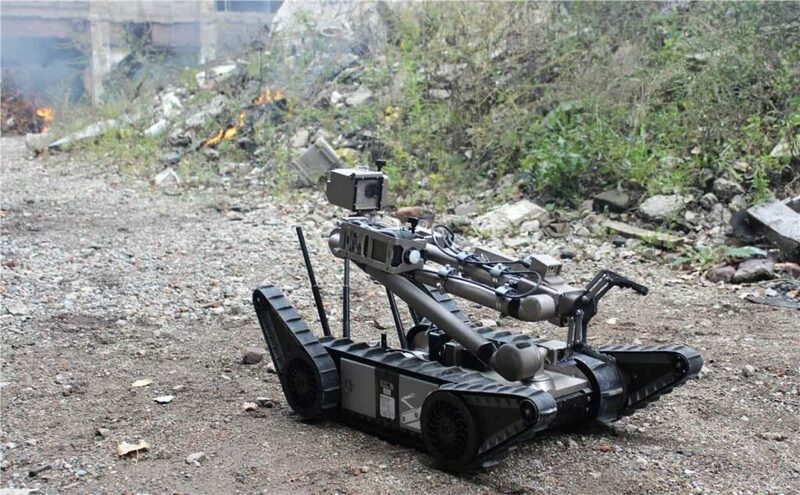 FLIR Systems has announced that it has entered into a definitive agreement to acquire Endeavor Robotic Holdings, Inc., a developer of battle-tested, tactical unmanned ground vehicles (UGVs) for the global military, public safety, and critical infrastructure markets. Endeavor’s highly-mobile and easy to operate ground robots utilize advanced sensing and actuation in providing explosive ordnance disposal, reconnaissance, inspection, and hazardous materials support for troops, police, and industrial users at stand-off range. Along with the recent acquisition of Aeryon Labs, FLIR has significantly expanded its unmanned systems capabilities. Having the largest deployed fleet of tactical robotics systems in the world, Endeavor has over 30 years of proven experience in advanced ruggedized UGVs. The company’s family of UGVs covers a broad spectrum of robot weight classes, from the five-pound throwable FirstLook reconnaissance robot to the 500-pound Kobra heavy-lift robot, and all models are controllable under one common command and control system. Endeavor’s modular approach to design also allows for varying payloads and sensor systems for the needs of each customer, including imaging and reconnaissance, vehicle and room inspection, bomb disposal, hazardous materials detection and disposal, radiation monitoring, and route clearance. Upon closing of the acquisition, Endeavor will be part of the FLIR Government and Defense Business Unit’s Unmanned Systems and Integrated Solutions division.